“It’s a gift of nature, involving all our senses. 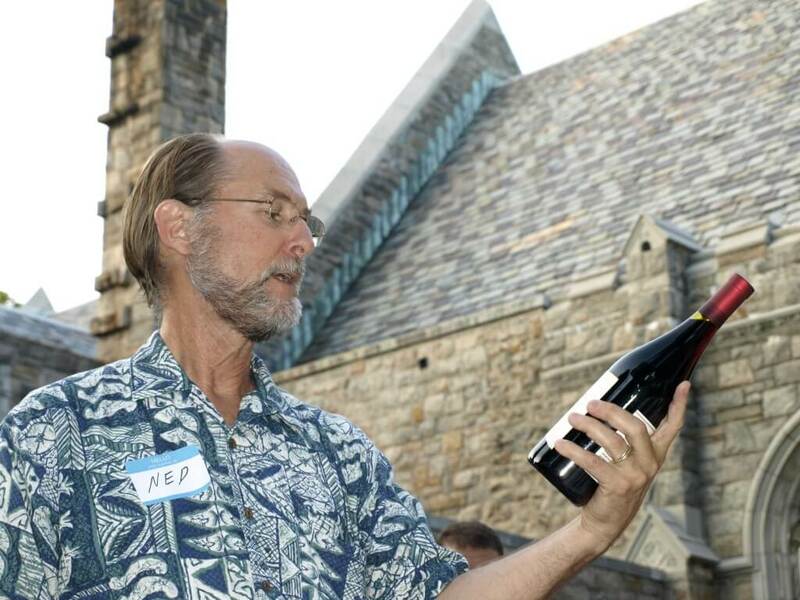 It’s life-affirming.” When Westchester Wine School Director Ned Towle speaks about wine, it’s almost spiritual. And that’s not surprising. Towle is also a minister. He was also the CFO of the New York City Transit Authority and a Harvard grad who dropped out for a year to wander in Europe. If it sounds crazy, the 63-year-old Towle is the first to agree. “I had identity crises. There was a struggle to find my calling.” It took decades, but he finally found it. Five years ago, the Hastings-on-Hudson native resettled there and opened his wine school at the Hilton Rye Town with a trickle of students and a torrent of passion. Today, hundreds of people have taken his courses, and his expertise extends to special events nationwide and in Paris. “I found an involvement that brings out the best in me,” Towle says. Wine, the core of that involvement, loops through his life like a thread, sometimes loose, sometimes hidden, but never frayed. And like many great involvements, it was purely accidental. Towle returned to Harvard, graduated with a bachelor’s degree in human relations, and, inspired by Gandhi, Martin Luther King, Jr., and his own Quaker social-activist upbringing, journeyed to Peru to do church-sponsored community development work. Afterwards, he continued those efforts with the homeless in Manhattan. Witnessing the impact of finance on social welfare programs, he joined the city’s Office of Management and Budget and was assigned to the transit authority, which eventually hired him as budget director. He stayed for 21 years. “I retired having earned a good living, but felt I had a third of my life to live and should do what was of highest value,” he says. For him, that was either the ministry or psychotherapy. In 2001, he enrolled at Union Theological Seminary to pursue coursework in both paths. “At Union, they deal with the question of what people are really called to do. They assume students haven’t come to the end of their journey.” Little did he know that his would lead back to the vineyard. What Towle did know was that he sought invigoration, a spiritual energy. And slowly, the pieces started coming together. He could have chosen to do his chaplaincy anywhere, but he chose Sacramento, wine country. “Working in the hospital’s critical-care ward was not an easy assignment,” he says. “I found myself running out every weekend to get connected to the wineries.” He volunteered at wine events and made industry contacts. And he tasted a Napa Valley wine that would redirect his life. “It was a Jordan Cabernet Sauvignon,” he reminisces. “I couldn’t believe the palate of lush fruit flavors.” At the end of his chaplaincy, his supervisor voiced what Towle knew in his heart: “I’m not sure that this is the right work for you.” It was another indication, Towle notes; in hindsight, there were a lot of things pointing in that direction. He got his ministry degree and took off for France, back to Gaillac. Tasting the “beautiful multi-layered flavors” of a Chapoutier Hermitage in the Rhone was the definitive revelation. When he returned four months later—on April Fool’s Day, he recalls with a grin—he founded the Westchester Wine School. Today, Towle no longer is in need of searching. He has his wife and business associate, Linda, and three grown children (from a previous marriage)—one who married a Frenchman. He has a new grandson. He is a Certified Wine Educator and Wine Judge, has led wine tastings in France, and, since 2007, is a medallion-carrying member of Gaillac’s fraternal L’Ordre de la Dive Bouteille. On March 14, he will present an updated blind tasting of the landmark 1976 Judgment of Paris, where American wines first bested France’s. NOTE: For wine class and event schedules and information, visit westchesterwineschool.com or call (914) 478-5197.